1. Right click on desktop navigate on “Personalization” and click on “Colors” turn ON “Automatically Pick..” “Show color” & “Make start”. 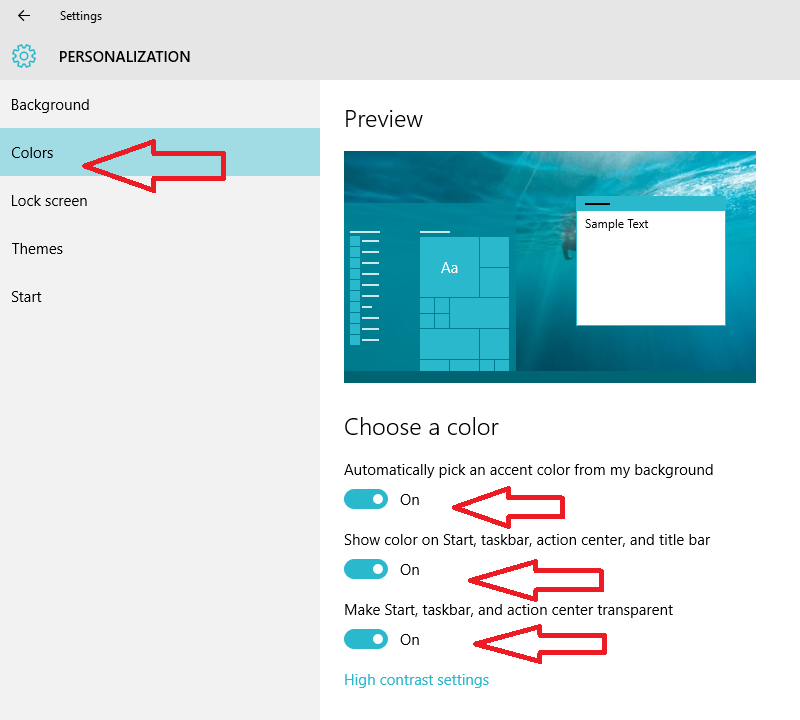 This will set auto color for your PC. 2. 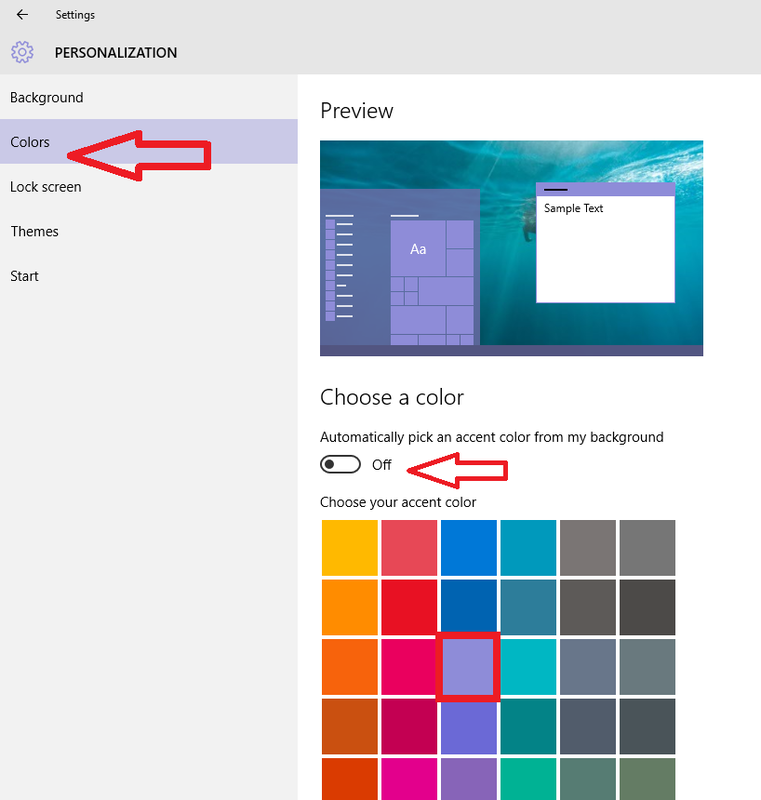 If you want to set your favorite color, turn off “Automatically pick” and select your favorite color from given below.